From the time we liberated Cuba during the Spanish-American war in 1898 until Castro took power in the late 1950's, Cuba was a very popular destination for American tourists. 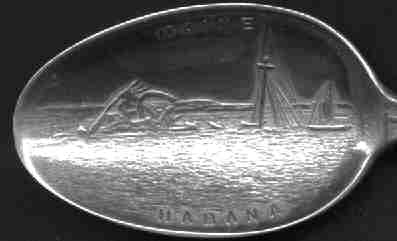 Many of these spoons feature Fort El Morro which is still under American control. This unusual spoon features a simulated coin finial dated 1891. The bowl is a hand engraved picture of Fort El Morro. 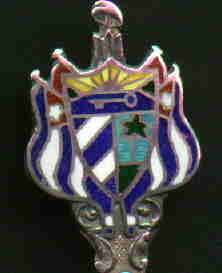 This beautifully enameled finial spoon also has a hand engraved picture of Fort El Morro in the bowl. 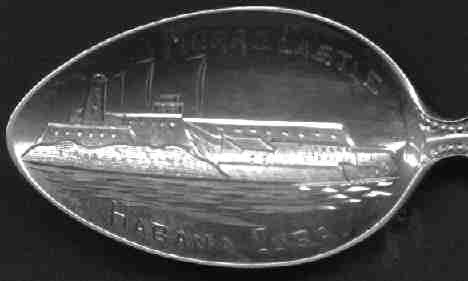 This is obviously a souvenir spoon from Cuba, but done in the style of American state spoons with little pictures on the front and back. 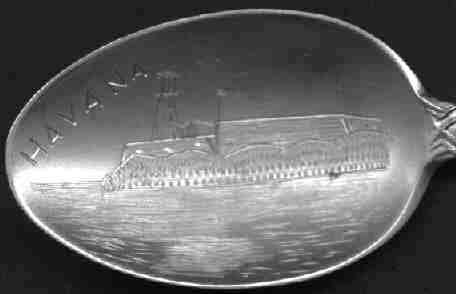 The embossed bowl has an interesting picture of the sinking of the USS Maine battleship in Havana harbor.